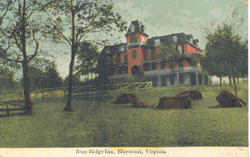 -- Henry G. Plaster, “Bluemont’s Historic E.E. Lake Store,” p. 9. Another hotel, the Loudoun House, opened in the village. 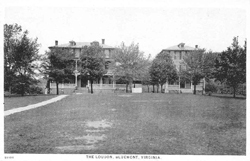 Loudoun Seminary opened as a finishing school for girls, with boys attending as day students. L ater, under the name of the Willow Brook Academy it was a school for boys. Stage coaches connected Snickersville and Berryville with Hamilton when it was the railway terminus. In 1900, as Snickersville was already developing a reputation for hosting summer visitors, the Southern Railroad (later called the Washington & Old Dominion) extended its tracks west from Round Hill, with funding provided by Southern’s owner, J.P. Morgan. 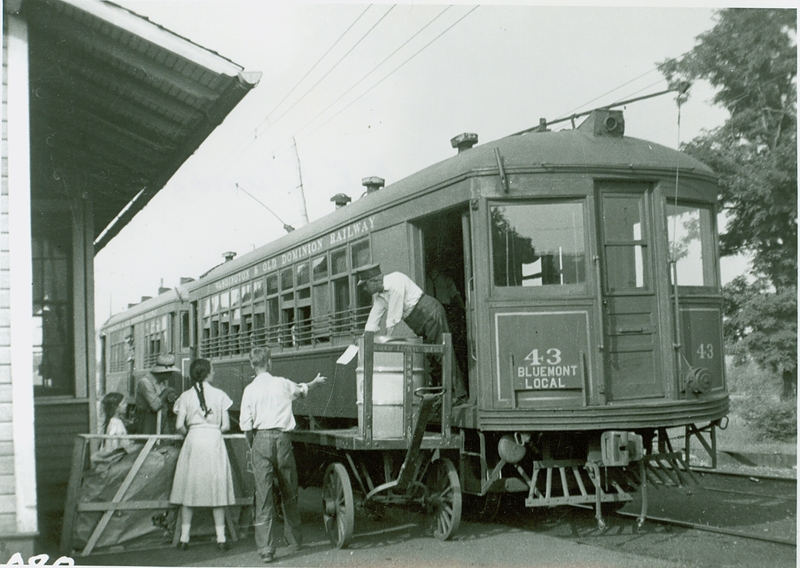 The first train came into the village on July 4. 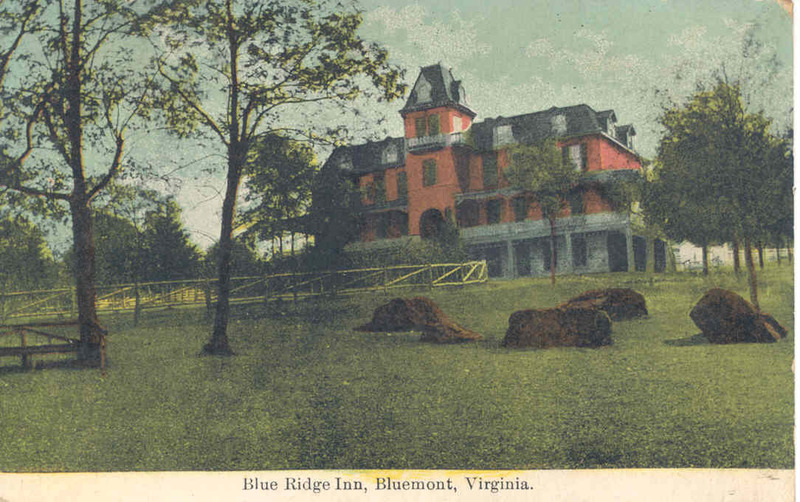 To enhance the tourist appeal of a village with the potentially risible moniker of “Snickersville,” the railroad named its station “Bluemont.” The post office soon changed its name to match. The E.E. Lake store, now restored, was built around 1901. The space offered a cluster of shops and services—a general store, an ice cream parlor, a barbershop, and the post office, and a meeting and dance hall upstairs. A branch of the Loudoun National Bank of Leesburg operated there for a while, but closed after robbers opened the safe with explosives in 1907.